Over my years of schooling it has been made clear to me that I am a person that needs to know the background of something as well as find ways in my head to make connections before I will really understand it through and through. With that being said I love what Penn Museum is doing. It is easy to walk through a museum and look at works of art or ancient artifacts just to say that you’ve done it. By being able to build a history and make real life connections to different pieces is truly priceless. You are no only building the history of such objects, but you are always giving people a voice in an all new light. You are giving refugees a safe way to share all that they have been through and what they have seen. The article says they use this method to “bridge cultural gaps”, and that is through and through a fact! From a personal view I wish more museums would find a way to incorporate such actions into other museums. 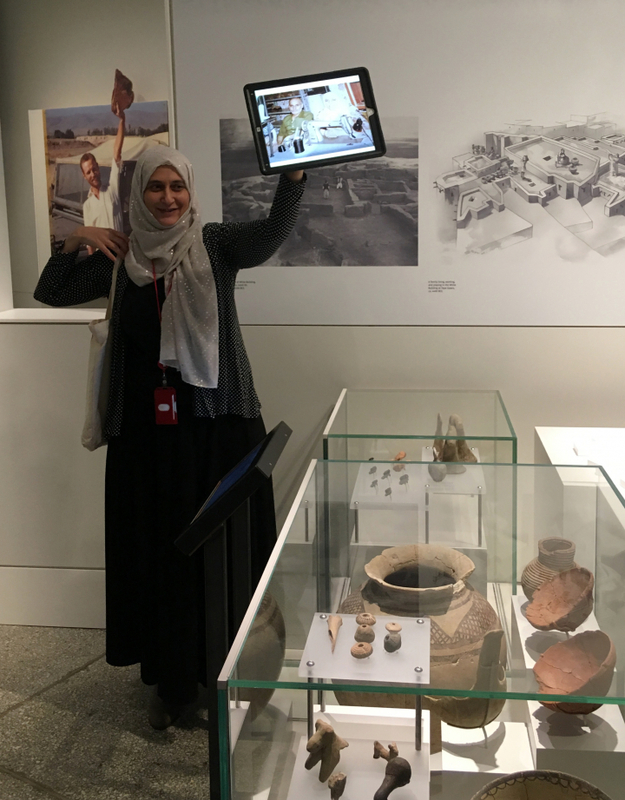 Penn Museums had developed a brilliant idea of hiring new refugees to give personalized tours. I think it is very important for all museums to consider the concept of hiring people who can personally relate to a specific artifact that is displayed in the museum, because these people are capable of reflecting their experience and knowledge to visitors and providing their personal stories related to the objects. By hiring an experienced person who truly relates to the museum’s theme, it can engage the visitors to relate with the employee’s personal story that can demonstrate better understanding of the object. This new concept can be very beneficial to give an opportunity for refugees to get the chance of expressing their thoughts and stories, as well to increase the awareness of new cultures in the future. The displayed artifact Tepe Gawra, it is a type of simply made jewelry. These are my favorite type of jewelry that I slightly relate to, because they are popular in Middle Eastern countries and some countries in East Africa as well. I remember when I visited Egypt in summer 2016, I was walking in the city and I happened to pass by a table of colorful bracelets and necklaces that looked very similar to the one that is shown in the figure, and I had to buy one bracelet to keep it as a memory.